Ever heard of ‘Baroda dynamite case’ > ? A decade or so ago, - the ad campaign 'Thanda matlab Coca-Cola' made the almost universal rural word for soft drinks a hot catchphrase, and the marketing strategy ensured that villagers slowly turned converted to ‘sugary bottled drinks’ ! A politician, a trade union leader, ex-Union Minister, passed away – the web is abuzz with many attributes hailing him as a great fighter, a fearless man and more .. .. the drink that we often take ‘coke’ was invented in 1886 in Atlanta, Georgia by Dr S John S Pemberton who tried it out on customers at his local chemist Jacobs Pharmacy – it proved popular and went on sale at 5 cents a glass. The over 40-year-old Baroda Dynamite Case was one of the important chapters in the life of former Union minister George Fernandes, who was jailed during his fight against the imposition of Emergency by the then Indira Gandhi-led government. George Fernandes is no more – the trade unionist born on 1930 passed away yesterday. MP from Rajya Sabha from Bihar was a key member of the Janata Dal and the founder of the Samata Party. He held several ministerial portfolios including communications, industry, railways, and defence. A native of Mangalore, Fernandes was sent to Bangalore in 1946 to be trained as a priest. In 1949, he moved to Bombay, where he joined the socialist trade union movement. Becoming a trade union leader, Fernandes organised many strikes and bandhs in Bombay in the 1950s and 1960s while working with the Indian Railways. He defeated S K Patil of Indian National Congress in the 1967 parliamentary elections from the South Bombay constituency. He organised the 1974 Railway strike, when he was President of the All India Railwaymen's Federation. Fernandes went underground during the Emergency era of 1975, while challenging Prime Minister Indira Gandhi for imposing a state of emergency, but in 1976 he was arrested and tried in the infamous Baroda dynamite case. In 1977, after the Emergency had been lifted, Fernandes won the Muzaffarpur seat in Bihar in absentia and was appointed as Union Minister for Industries. He was a defence minister in the National Democratic Alliance (NDA) Government (1998–2004), when the Kargil Warbroke out between India and Pakistan, and India conducted its nuclear tests at Pokhran. In 1974, he organized all India Railway strike as President of the All India Railwaymen's Federation, bringing the Nation to a creeching halt. Tens of thousands of Unionists were detained under preventive detention laws. George was suffering from Alzheimer's and had been out of the limelight for many years. He had recently contracted swine flu and died on Tuesday, his long-time associate Jaya Jaitly said. Known to be honest and forthright, Mr Fernandes was often described as a rebel who fought for the rights of the poor people and low-paid workers. An activist who worked with Fernandes during the Emergency period was quoted as saying that by procurement of dynamite, the plan was to give a message to the government that they would "not take imposition of Emergency lying down". Fernandes was shown as the 'mastermind' of the conspiracy and as accused number 1 in the chargesheet filed by the CBI in a Delhi court where the case was heard. Later, when the Janta government of Morarji Desai came to power, the cases against Fernandes and others were withdrawn. Are you fond of bottled cool drinks ? ~ what is your favourite ? it that Pepsi or Coke,!! Coca-Cola India Private Limited, is the Indian subsidiary of Atlanta-based The Coca-Cola Company that sells concentrates for a wide range of juice, juice drinks, and aerated beverages. In 1950, The Coca-Cola Company opened its doors to India for the first time. However, 27 years later, in 1977, they chose to exit the country, protesting new regulations and legislation by the Government of India limiting the dilution of equity of multinational corporations. On October 24, 1993, they decided to re-enter the market, and have maintained a strong presence ever since. Though Fernandez is given the credit for their packing-off, the countdown to Coca-Cola's impending exit started in Jan 1974 when the Indira Gandhi government introduced the Foreign Exchange Regulation Act (FERA). Coca-Cola alleged that it had decided to exit India as local authorities wanted full disclosure of the formula for making the concentrate. That allegation was not entirely true. After Coca-Cola's exit, several Indian employees of the company were left jobless. 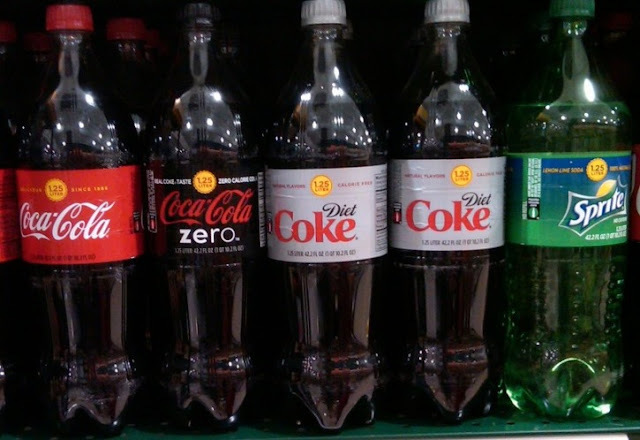 To avoid a backlash, the government decided to come up with its own version of Coca-Cola. Fernandes said a 'swadeshi' substitute drink called Double Seven or 77 was ready and would be marketed in a few weeks. The name of the drink had a political undertone as well, since 1977 marked the end of the Emergency imposed by Indira Gandhi, her defeat in the elections, and Janata Party's ascension to power. The government asked the Central Food Technological Research Institute (CFTRI) at Mysore to develop the formula for Double Seven, to fill the void left by Coke, according to a report by India Times. Double Seven, marketed by a government-owned company Modern Food Industries, wasn't a success. The drink faced tough competition from Campa Cola, Thums Up, Duke's, McDowell's Crush and Double Cola. As the Morarji Desai government collapsed in mid-1979, Double Seven lost major market share. The Indira Gandhi-led government which returned to power in 1980 was indifferent to Modern Food Industries. The company soon started incurring losses and stopped manufacturing the product !